Outdoor Courses for Scrambling, Climbing, Kayaking & Mountain Activities: Lake District National Park Authority - Hands off our free Parking!! Walna Scar Car Park under threat! 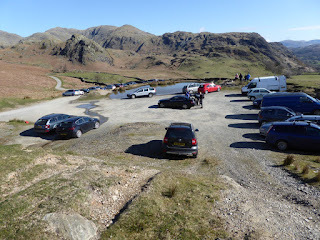 Lake District National Park Authority - Hands off our free Parking!! Walna Scar Car Park under threat! For many years, locals and visitors to The Lake District have been able to enjoy free parking in a most convenient place ie right on the edge of the Coniston Fells at Walna Scar Car Park. One of the great things about this free parking area is that it reduces the congestion that would otherwise exist in Coniston and not only that - it removes the need to walk up a mile from Coniston Village and endure the ascent of 167 m (550) required to get there - now that's a very welcome thought if you are planning to go walking or scrambling on the Coniston Fells; or climbing at Dow Crag! However, it has come to our attention that the Lake District National Park Authority (LDNPA) now have their sights on the Walna Scar Car Park. The Lake District National Park Authority can only be regarded as anything but "the friend of the motorist as they have systematically converted as many free car parks to pay and display as they have been able to over the years. Take Coniston Village for example where the Lake District National Park Authority already control the three main car parks - at The Old Station Car Park on Station road (just off the Walna Scar Road) at the Coniston Boating Centre adjacent to the steamer pier; and in the village centre on the Hawkshead Road. Parking fees are enforced at the latter two car parks in Coniston Village through Number Plate Recognition Cameras administered on behalf on The Lake District National Park Authority by Park With Ease.This company was brought in recently by The Lake District National Park Authority after they had terminated their highly unpopular arrangement with the private parking company Parking Eye who were well known for issuing ludicrous and grossly unfair parking charge notices to visitors to The Lake District who had failed to pay parking fees in LDNPA administered car parks. The fact that the Lake District National Park Authority chose to endorse the use of such a system in The Lake district speaks volumes about their ethics doesn't it! The Lake District National Park Authority appears to regard motorists purely as sacks of cash!! You would think that The Lake District National Park Authority might be satisfied already administering the three main car parks in Coniston Village as well as many others nearby, but clearly not! Now, do YOU want to see the same sort of thing happen at Walna Scar Car Park? If not, then you need to act now! 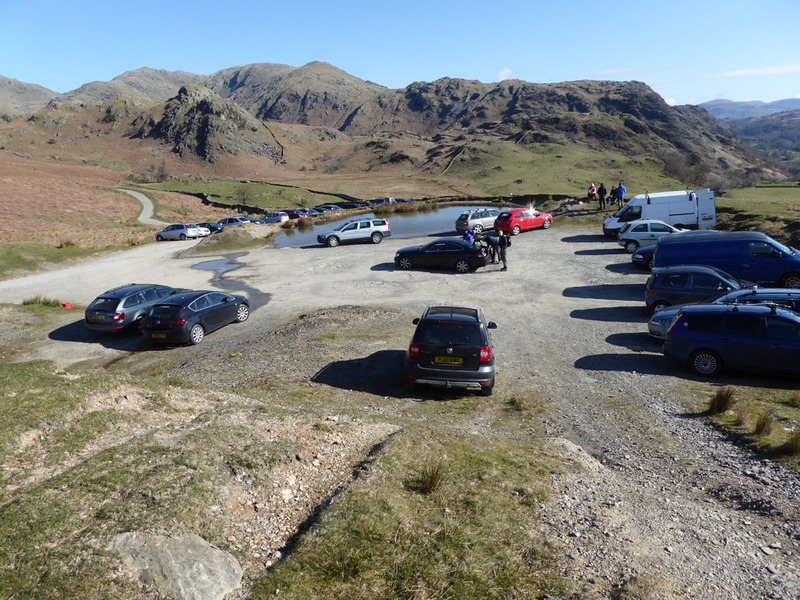 The Lake District National Park Authority have listed the planning application online and within it, set out that they intend to turn the Walna Scar Car Park into a 58 bay "Pay & display" Car Park. For the sake of all of us - locals and tourists alike - please express your objection to this planning development to The Lake District National Park Authority in the strongest terms possible!. You need to act immediately!